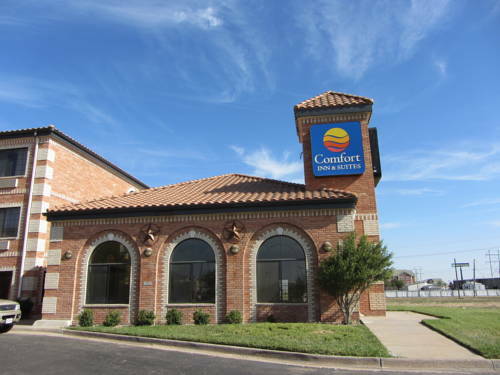 Behind every great day is a great night at the Comfort Inn and Suites hotel in Amarillo, TX. Located just off Interstate 40, we are a convenient stop when business sends you to northwest Texas. We offer access to on-site meeting space as well as a business center, free WiFi, free hot breakfast, a fitness center, indoor heated pool and laundry facilities. Relax in your guestroom, which features a refrigerator, microwave, coffee maker, TV, hair dryer, iron and ironing board. Larger suites have separate living areas with sofa-sleepers, large work desks and other options, making them ideal for small meetings. Also, earn rewards including free nights and gift cards with our Choice Privileges Rewards program.